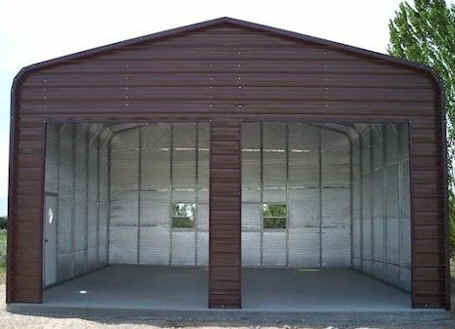 Barns.com offers durable, low cost and the most effective insulation options for your barn, garage or metal building structure. 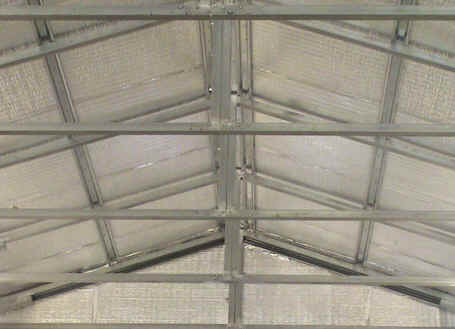 Get an instant insulation price quote online for your steel structure without registering or calling. 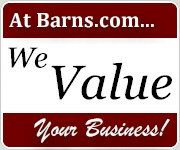 What makes Barns.com Insulation better than others? 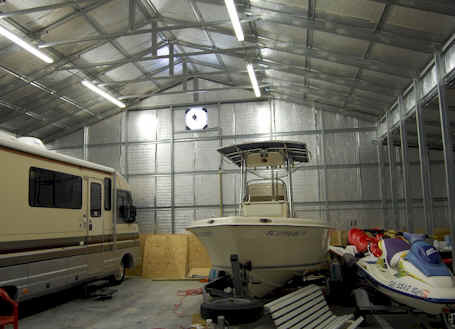 Only reflective insulation that is ICC-ES recognized (4’x175’ roll only) and Energy Star Qualified. Foam interior handles punctures and temperature extremes better than bubble wraps. 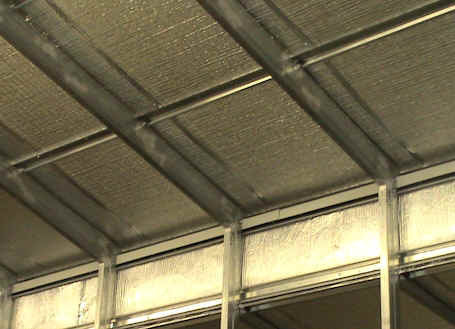 Unlike Fiberglass insulation, it contains no itchy fibers to breathe or cause skin irritation. 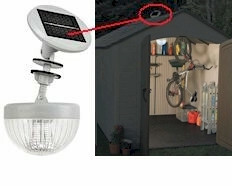 See Warning label on fiberglass insulation. 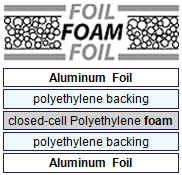 The aluminum is creased to create more airflow in applications, which enhances performance. 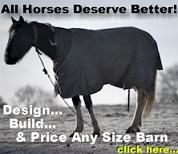 Easier to cut than bubble wraps and fiberglass batt. No toxic vapors in case of fire.